The media is seemingly underestimating Lyft’s growth potential. Price arbitrage is the main reason why we see the value of Lyft and Uber converging. Market share in December 2018 came in at 39%, up from 22% in December 2016. Google searches for “Lyft” continues to grow in both U.S. and Canada. Google searches for “Uber” stagnant; Suggestive that Lyft is gaining market share. Q4-2018 saw YOY growth in active ridership of 48% and revenue growth of 103%. Cohort trends supports continued focus on gaining market share. Expect expenses to continue to grow but at a smaller % of revenues. Continued litigation presents the most significant risk to Lyft; Uber faces same risk. Long term growth opportunity in autonomous driving and possible solution to legal risk. Lyft, Inc. presents a more compelling growth story versus big brother Uber, Inc.
Much of the opinion on the Lyft IPO depicts the platform as a laggard/dwarf in the eyes of the much larger Uber, the former looking to raise 2 billion USD with a near 20 billion USD valuation while the latter is likely to be valued around 100 – 120 billion USD. Sentiment is further soured by the hysterics around Lyft’s inability to turn a profit, which lead some to believe they’ll be forced to take a larger chunk of driver’s fees causing an impending mass exodus of drivers. We believe this to be overly pessimistic. Two Apps are Better than One! Part of this sentiment comes from what we see as a fundamental flaw in the way that the ride sharing market is being evaluated. Currently, ride sharing applications are in and of themselves an imperfect market, where price for the same area of coverage can diverge significantly across applications, creating a “spread”. However, drivers and riders have been pretty quick to learn (just take a look at the number of ride-share comparison apps out there) that they can take advantage of this by hopping off of one application and jumping on to the next with little interruption, This causes price across both applications to converge towards a new equilibrium (Economics 101 anyone?). For example, let’s say that due to driver dissatisfaction with Lyft’s pricing model, drivers divert their efforts towards the Uber app. From a logistics standpoint, they click a button and then instantly, they’re driving for Uber. The sudden decrease in the number of Lyft drivers creates a marginal price increase (assuming demand stays the same) and respectively, a price decrease for Uber (since supply of drivers has increased). Eventually, the driver’s that jumped over to Uber take notice of the bump in Lyft fares and then revert back. So long as these two applications operate in separate marketplaces, this back and forth will continue and the matter of the fact is that both drivers and riders stand to benefit by adopting both applications, not just one. Looking closer at some of the user metrics, in conjunction with search trends, we can see that this phenomenon is in part fueling Lyft’s growth in market share. Many critics out there would then point you to the dismal financial performance, however, taking a closer look reveals that it’s all part of the plan to gain market share and in time the game plan will eventually lead to profitability. 2017 and 2018 saw revenue growth of 209% and 103% respectively. Expenses grew at 71% and 77% in 2017 and 2018 respectively. Expenses as a percent of revenues are declining; 167% and 145% in 2017 and 2018 respectively. Revenue growth outpaced expense growth in both 2017 and 2018 and should be a focal point of analysis going forward; a continuation of this trend would be a step in the right direction. Lyft continues to focus on user adoption, and rightly so, which is understood will lead to further losses. The number of rides taken has steadily increased since inception. Quarterly growth in rides taken on a year-over-year basis declined from 143% in Q1-2017 to 53% in Q4-2018, however, the nominal increase in the number of rides taken in each subsequent quarter has been consistent, at an average increase of 15.4 million additional rides taken. A similar trend is observed with Active ridership growth. Cohort trends depicts usage rates of first-time users categorized into their respective yearly cohorts, and then tracks usage in subsequent years. New adopters in 2015 took 25.1 million rides; that same cohort increased usage by approximate 266% in 2018 to a total of 66.9 million rides. New adopters in 2016 took 70.9 million rides and increased usage by 68% in 2018, translating to a total of 119.3 million rides. Cohort data shows that Lyft’s continued focus on user adoption will pay dividends in the future. Lyft’s primary markets are in the U.S. and Canada. Google searches for the term “Lyft” in both these jurisdictions have shown a consistent increase. We infer that a large proportion of searches are made up of new adopters and information seekers. Thus, an increasing search trend should bode well for new adoption growth and should translate into revenue growth as the two are closely tied. Comparatively speaking, searches for “Uber” far outweigh the number of searches for “Lyft”, however, the chart below depicts a concerning stagnation as early as June 2017 that could be understood as Uber’s saturation of the ride sharing market and slowing user growth. This presents an opportunity for Lyft to accelerate app adoption rates and to close in on the gap with Uber. Lyft is coming to market at a time where user metric trends are on the rise. 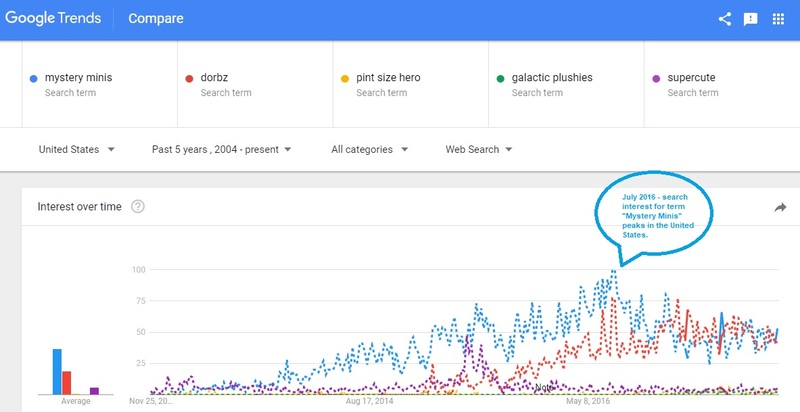 Google Search trends hint towards continued growth in user adoption. If the ride sharing market has peaked then Lyft becomes the more compelling investment over Uber by virtue of the dynamic that two apps are better than one. It’s still too early to talk profitability; Lyft’s focus is on closing the gap with Uber and comes at the cost of increasing expenses. Despite the previous point, Lyft has been able to grow revenues at a rate greater than growth in expenses. As with most IPOs, profit taking will likely suppress the price for the short to mid term.